Player development is a complex task and requires an individual approach to coaching. It is helpful to devise a strategy to reach an overall long-term goal (e.g. top 100 ATP/WTA ranking by age 20) early on. Parents and athletes must understand that one doesn’t become a good tennis player overnight. In fact most athletes will stop pursuing a career in professional tennis before the age of 20. Therefore, it is more important to define what “success” means with regards to short-term goals. Success shouldn’t always be defined as winning or be related to a particular ranking. Instead, success should be defined in terms of developmental achievements (e.g. improvements in physical fitness or stroke production) because it has a positive effect on motivational factors and if the athlete achieves all the short-term goals then he/she will also reach the long-term goal! At the same time, rankings can be used as an indicator of the athlete’s capabilities but they are not always absolute as a measure of performance. For example, if an athlete can only travel to a limited number of tournaments to earn points due to time (e.g. school) or monetary constraints, the ranking will not be representative of his/her true ability. In conclusion, one should not focus exclusively on ranking. The athlete’s development with respect to stroke production, physical fitness, mental toughness, and improvement at regular competitions (tournaments) should be emphasized instead. The support team consists of the parents, the various coaches and sponsors if applicable. They provide time, money, effort and equipment, which are the pre-requisites for successful player development. If you like more information on the roles and responsibilities of the support team members download Training & Conditioning: An Introduction to a Successful Career. Having money to support player development is a necessity even if you do most of the training aspects yourself and having sponsors can make things easier. Get more information on How to Find Sponsors To Fund Your Pro Tennis Career. because that will influence your overall training program considerations such as how much time you can afford to spend on each task. Therefore it is a wise decision to spend the time and energy on a thorough Tennis Analysis to Avoid Wasting Time During Training. 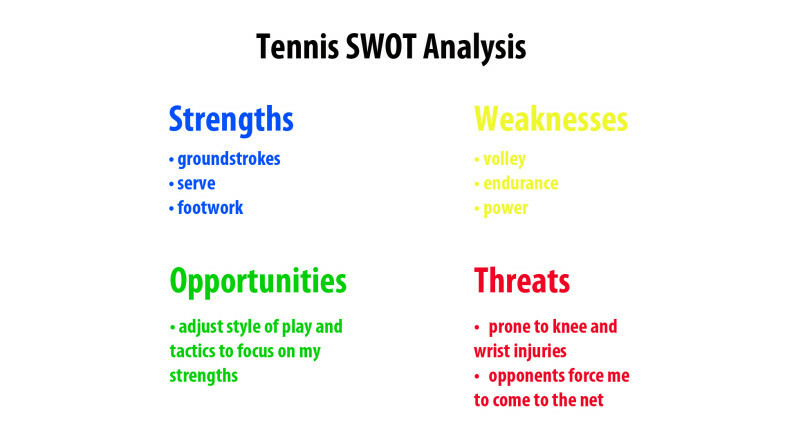 The previous link provides you an example for a tennis analysis from a strength & conditioning perspective and you should follow the same principle for the tennis training and mental training to get the big picture. 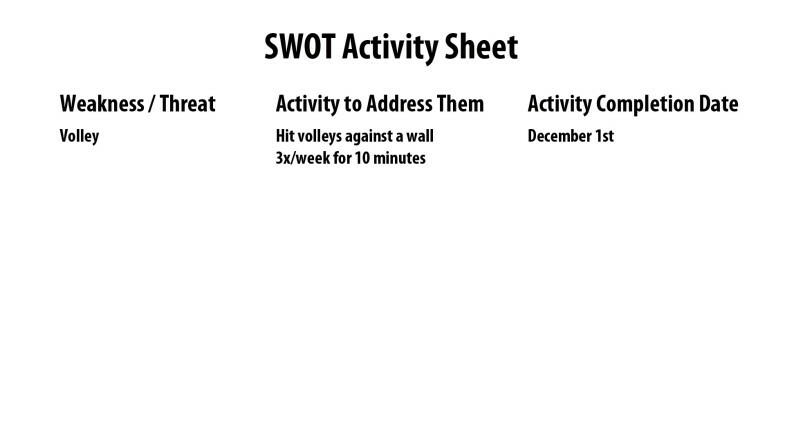 Next you outline when and how you plan to address the weaknesses and threats from your SWOT analysis. 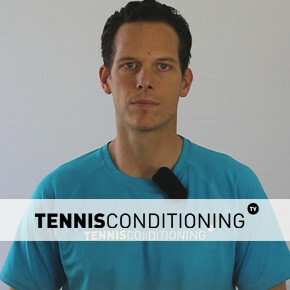 Once you completed your tennis analysis you want to find out how much time you have available each week to devote to your tennis training, strength & conditioning and mental training so you can fill the time slots accordingly and be prepared for each training session so you can train with purpose instead of going through the motions. Then you want to commit to your training schedule for 2-4 weeks, or until you see improvements as some players develop faster than others, before you move on with your training priorities. As you can see player development requires a lot of time and effort if you want to do it right. It is different for each player as they have different strengths, weaknesses, opportunities and threats and hence requires a unique approach to coaching in an ideal scenario!